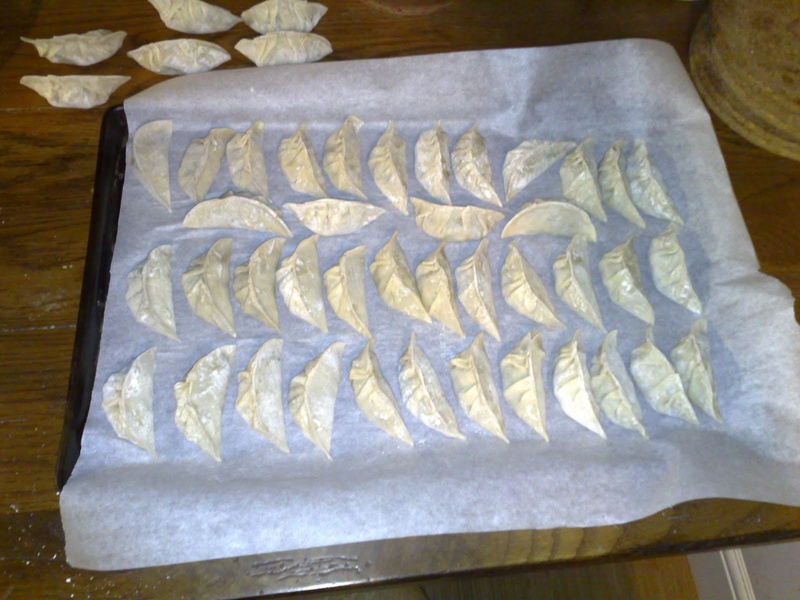 A few of us got together just before Lunar New Year to make some dumplings. Caroline and I both have subscriptions to Fine Cooking magazine. We were inspired by the recipes in the Jan/Feb issue and then spread the inspiration around a little. As a matter of fact, they do taste as good as they look! 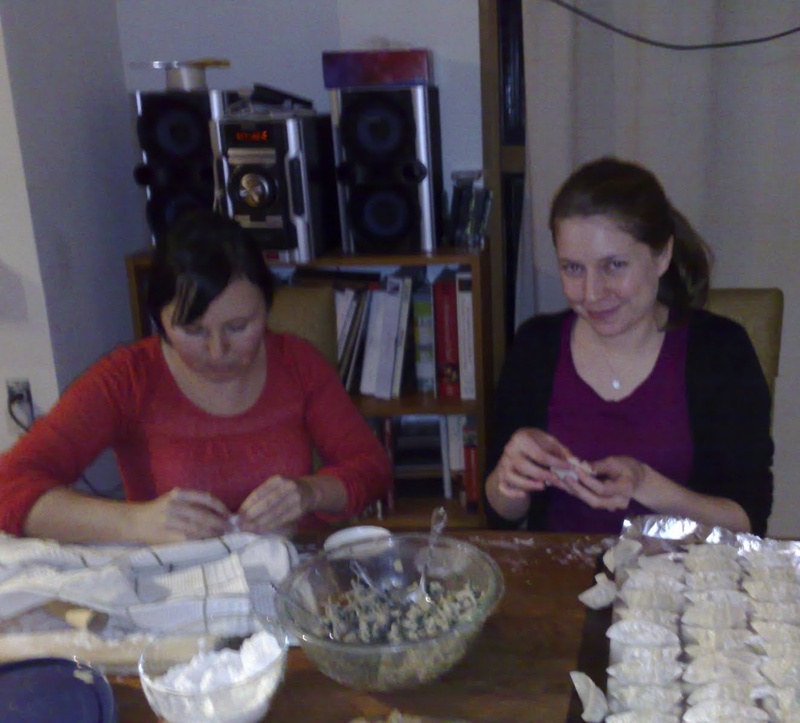 Caroline and I and the dumplings we’d already made. 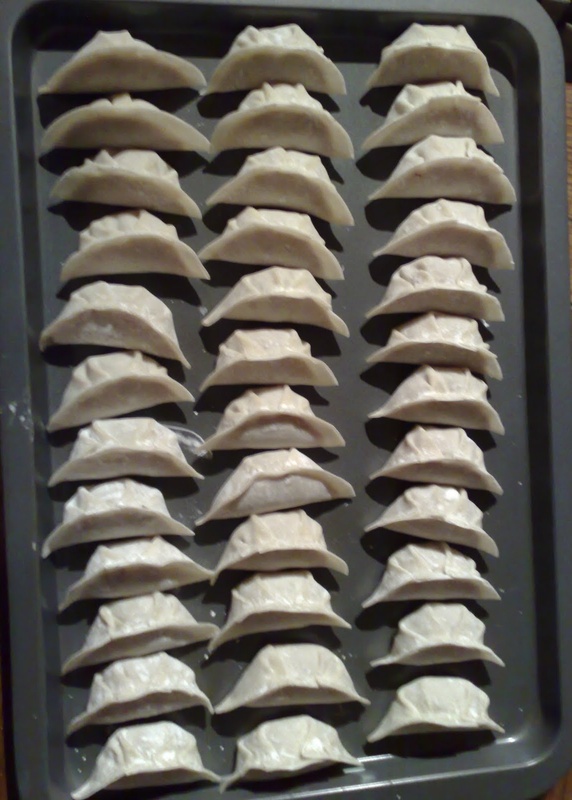 Carvill’s perfectly shaped, perfectly filled, lovely and dense and identical dumplings! The filling recipe I used was this one, Caroline’s was this one, Joanna’s was this one, and Carvill’s mommy made her own recipe! I think we’re indebted to Carvill for showing us the proper pleating technique. I can’t imagine how long it would have taken if we’d tried to figure it out from the photos in the magazine. All of the before pictures are courtesy of Joanna and her cell phone camera. Clearly my hands were too busy wrapping to remember to take a photo! The after picture… well that was all me. Man, that photo makes me want to lick the screen. But what *I* wanna know is what sauce you served these with. Good question! I thought a lot about it actually. 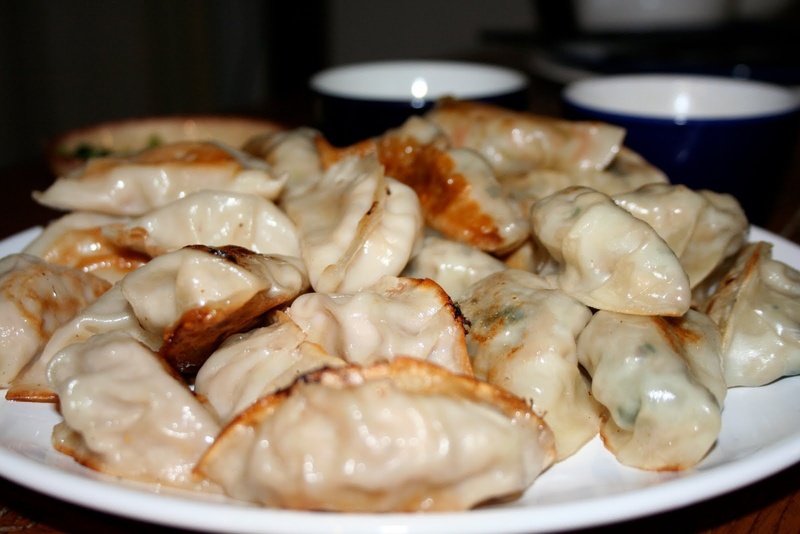 The last time I’d eaten a home cooked meal of dumplings prepared by actual Chinese people, there were multiple sauces served to suit the tastes of the different diners (If I remember right, all were soy sauce based and I think all had vinegar, some had sesame oil, some didn’t). Personally, I’m not a fan of sesame oil in the dipping sauce. I like a fresher sort of taste. So, I made a soy sauce, rice vinegar, scallion sauce. In proportions that tasted good to me. I normally would have put in some ginger as well but for dessert that night we were having ginger soup with black sesame filled glutious rice balls. So, we decided to save the big punch of ginger for the end of the meal.